Eventamina is your professional resource for experienced meeting and event planning staff for your next corporate meeting, incentive program, medical education forum or special event in Spain. Eventamina can structure a pricing plan that works within your budget. We charge similar to other professional consultants, based on the services handled and our fees can be on an hourly, daily or project basis. Our goal is to work within your budget, to create an event that achieves your goals and delivers a substantial return on your investment. You’ll deal one-on-one with an experienced, creative Eventamina planner, who will be with you every step of the way. Eventamina, a full-service meeting and event management company, is based in Valencia, Spain. Founded in 2010 to meet the increasing demand for cost-effective, quality freelance meeting planning services to manage national and local meetings and special events for corporations and agencies worldwide. While our company may be small, our experience is not! 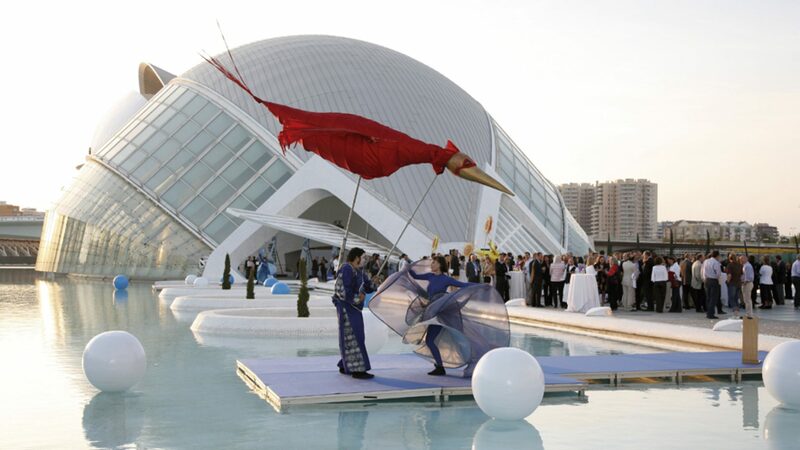 We’ve managed for over 10 years meetings and corporate events from 8 people to over 5,000 attendees throughout Spain. As event planners based in Spain, we have earned a reputation for a personal and professional service. Our staff of professional meeting planning experts supports your company’s efforts with innovative services, and onsite management. Let our enthusiastic team of professionals transform your ideas and goals into a successful meeting or event. Etymology: event from Latin ēventus (“‘an event, occurrence’”) plus vitamin, 1920, originally vitamine (1912), from Latin vīta (“‘life’”) (see vital) + amine (see amino acids). Noun: 1. Any of a specific group of organic compounds essential in small quantities for healthy events and meetings growth, metabolism, development, and function; found in minute amounts in organizations. Eventaminize: Verb: 1. to add eventamina in order to enrich any event as positive and active supplement. Simple past tense and past participle of eventaminize. 1. Eventaminized, vitaminized Events. The state of any event being vitalized and filled with life.